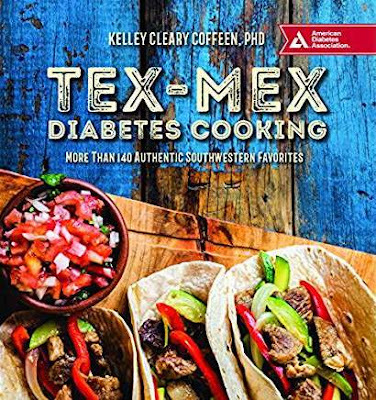 I'm not usually a fan of diet cookbooks of any type, but when I was offered a Tex-Mex geared toward diabetics, I decided to give it a whirl. The book is Tex-Mex Diabetes Cooking by Kelley Cleary Coffeen. As I browsed through the book, the substitutions to make them friendly for diabetics were pretty simple. Whole grain tortillas were used instead of white tortillas, for example. There were also quite a few lower-fat items that were used. I've got to say that some lower-fat cheeses are perfectly fine, but I've tried low-fat cream cheese and I doubt I'd use it again unless it was well hidden in a recipe. But ... if you need the low fat versions for health reasons, it's great they exist. There are recipes for everything from drinks (yes, even alcoholic drinks) to desserts. It even has recipes for making your own tortillas. But to be honest, I was more interested in the main dishes and sides. Chicken Tortilla soup sounded pretty good, as did the pork carnitas tacos. I adore tacos. And I'd be happy with pretty much any of the enchiladas. The book also includes instructions and recipes for making tamales. I've made tamales, and it can be quite a project if you make them in quantity - which you should, because they freeze really well. The red chile tamales looked pretty familiar. On the other hand, the spinach and asparagus tamales were unusual. I'm still not sure I'd love them, but I'm pretty curious about them. While there were soooo many recipes that looked good, the one that stopped me pretty quickly was the chopped Mexican salad with lime. It just looked so pretty in the picture. And I adore salad. I might make the dressing all by itself and use it with my usual clean-out-the-crisper salads that happen pretty regularly here, and when I happen to have most of the ingredients for the actual salad, I'll assemble it the way it's supposed to be. To be honest, I'd probably skip the sweets in this book, since I'm not a huge fan of artificial sweeteners, but that's really the only thing I wasn't fond of. But if you don't mind the taste of those artificial sweeteners, you'll probably be happy with the selections here. 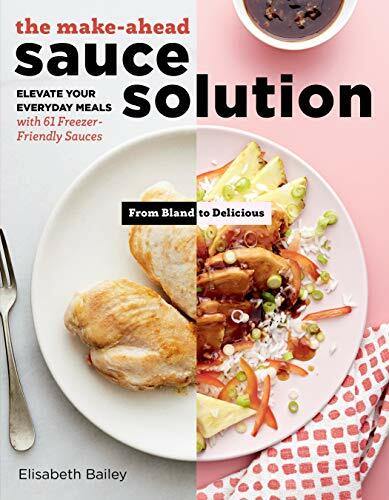 If you're cooking for someone who is diabetic, or you're just looking for recipes that are lighter and healthier, this book would be a good fit for your bookshelf. Why yes, I did get this book at no cost to me. If you're looking for ideas for books for gifting, these have recently landed here thanks to their publishers or publicists. Yup, free. None of 'em are cookbooks, although some are food related. This one is all about peppers, from mild to mind-numbing. It starts with the biology of the pepper plant and the fruit, then moves into the history of peppers. There's a handy list of peppers would be useful for anyone who wants to use a wider variety of peppers, but who isn't sure what the varieties are. 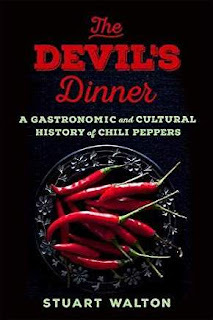 That was actually one of my favorite parts of the book, and I have to say that even though I cook a lot, I wasn't familiar with many of the peppers on the list. Finally, we get treated to the cultural and symbolic aspects. There's a reason so many hot sauces reference the devil, right? While this wasn't as compelling a read as a novel, it did tell its story, and while it was the result of a whole lot of research, it wasn't a difficult read. 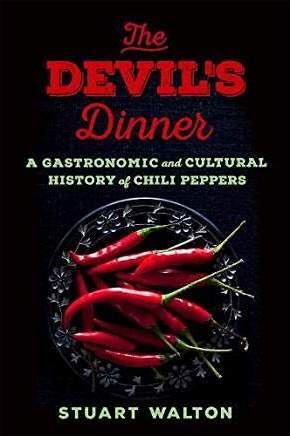 If you've got a friend or relative who's a chili head and likes to read, this could be a lovely stocking stuffer. 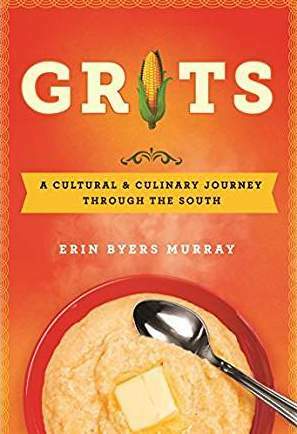 Although I was raised in the midwest and didn't event taste grits until I was an adult, I totally adore them, so it was fun to dive into the history of them. 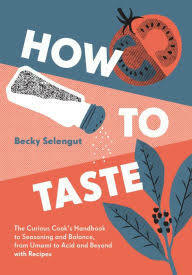 While this does travel the history trail, the author is right in the midst of it, talking about the research and the people she met along the way so it's kind of a personal journey as well as a whole lot of information about corn and grits. The grain itself doesn't get a whole lot of story time, with the book focusing more on the more modern history of the milling and the cooking. Although ... the different mills themselves include history of their own. This book also has some recipes. It's not a cookbook by any means, but there are recipes using cornmeal and grits, so when you get hungry, you can stop reading and start cooking and eating. 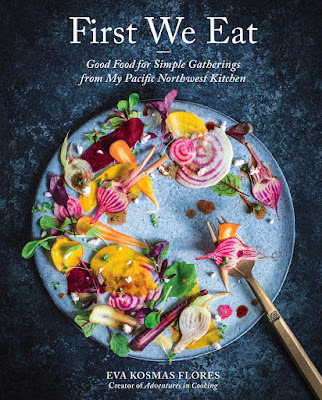 This was an interesting read, and I loved that a few recipes were included. I don't know if I'll ever make the sweet grits, but I'm always willing to try a new recipe for cheesy grits. 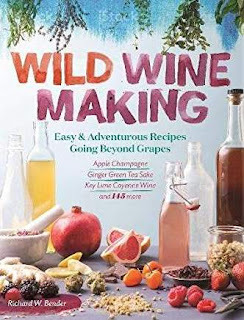 While this is essentially a recipe book, it's also kind of a hobby book, since you won't be making wine after work and serving it for dinner. The book assumes that you're fairly new at wine making (good assumption) and starts off with lots of information about the equipment you'll need. Fortunately, it doesn't assume that you're starting a winery, so the requirements are reasonable. If you're worried about the "wild" part of the title, you won't need to go foraging in a scary forest for suspicious fruits, leaves, and roots. Instead, you should be able to by your ingredients at a grocery store. However, some of the ideas are a little off-the-beaten-path when compared to the more usual grapes. There are recipes that include everything from apples to bananas to cayenne ... and most of the rest of the alphabet, too. And if you're really ready to be wild, there are wines that include cannabis, as well. While these wines aren't going to be as easy as the ones you can make with a wine kit, they look like a really good next step for someone who wants to take off the training wheels and have a bit more fun. I'll admit it. I doodle a lot when I'm writing. But I'll also admit that my doodles aren't quite like art. So I was amused by the idea of a book that could turn my crummy doodles into something a little better. None of the letter doodles in this book are particularly difficult, but when the doodling added things that were supposed to look like something else, I decided that I really didn't need to embarrass a burger that way. These ideas and techniques would be great for people who want to try their hand at crafty things, like making greeting cards, doing fancy lettering in scrapbooks, or even just to add something fun to store-bought cards. While I don't know if I'll ever really get that crafty, doodling with letters is kind of fun, just for amusement. 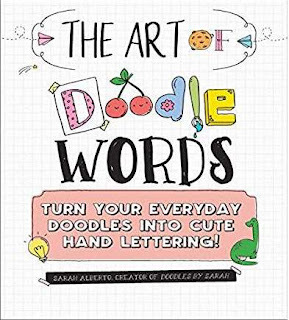 When it comes to doodling, I'm not that great at drawing things that are recognizable as whatever they're supposed to represent, but this book might change my tune. A little bit. Maybe. 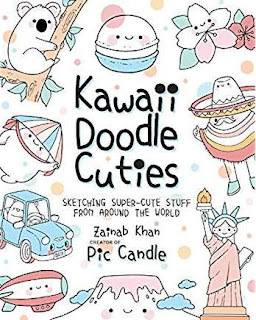 It starts out super-simple, like drawing a very basic kiwi fruit or macaron, then adding a cute little face that's pretty much just eyes and a smile. Yup, I can do that. Each chapter starts with simple stuff, then the complexity increases. I can do a shamrock, but a cute Great Barrier Reef might be just slightly beyond my current capabilities. Although I agree it would be fun to try. And that's kind of the point, right? It's fun. It's not art class, and there is no grade. This would be a fun book for adults who want to do a little more than color in adult coloring books, but would also be fun for kids who want to learn how to draw more than stick figures and lolliop trees. Although I make fun of my own drawing skills, I might actually spend some quality time with this book, just to see if I can draw the panda. Because it's freaking cute. Why yes, I do get a lot of books for free from publishers. Yup. Pride and Prejudice by Jane Austen might be a classic, but as I was reading the copy that just arrived here, I had no memory of ever reading it before. Maybe I read it in school. Or maybe my education was lacking. Anyway, THIS particular version of Pride and Prejudice has recipes from Martha Stewart in it. Yup. You heard me. Recipes. I previously reviewed A Christmas Carol, that was done in much the same way. It's an interesting concept. So anyway, back to Pride and Prejudice. I must have read this in school, right? Eh, maybe not. In any case, I enjoyed reading it this time. It's old-fashioned enough to seem like a completely different world, which I guess it was. It was, as they used to say, charming. And I didn't have to write an essay about it. Like the previous book, this has artwork that on close inspection (or sometimes from afar) is actually food. The flowers would look right at home on a cake, and the cookies look quite tasty. 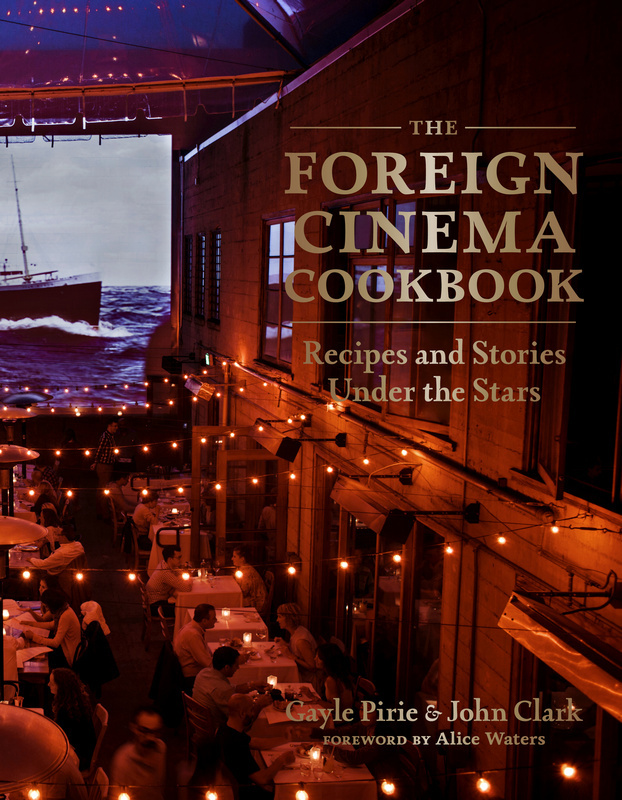 The included recipes are classics, and they fit well with the theme of the book. There are linzer hearts, macarons, petits fours, and my personal favorite, chocolate shortbread fingers. I haven't made that recipe yet, but it's on my must-do list for sure. Or maybe I'll do the fruit turnovers first. Those look pretty darned good too. Or the ginger icebox cake. This would be a nice gift for any book lover you know. Even if they have a previous edition, this one has recipes. And that's never a bad thing. I got this book at no cost to me. 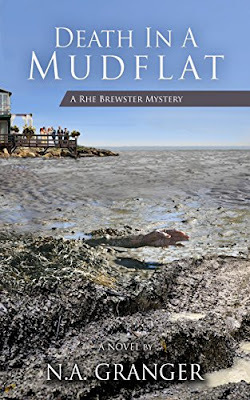 Taking a little detour from cookbooks here, with a mystery novel, Death in a Mudflat by N. A. Granger. But ... it's not totally devoid of food. While the main character, Rhe, is a nurse and her husband is the chief of police, Rhe likes to cook, as does her best friend, so people actually cook things, serve dinner, and discuss events over food. Kind of like real people. That's not a huge part of the story, though, it's all about a murder. Rhe, besides being a nurse, also consults with the police department, so she's in the thick of things, from the very beginning, when a dead body is discovered near the beach wedding of some friends. Yup, that'll put a damper on the festivities. 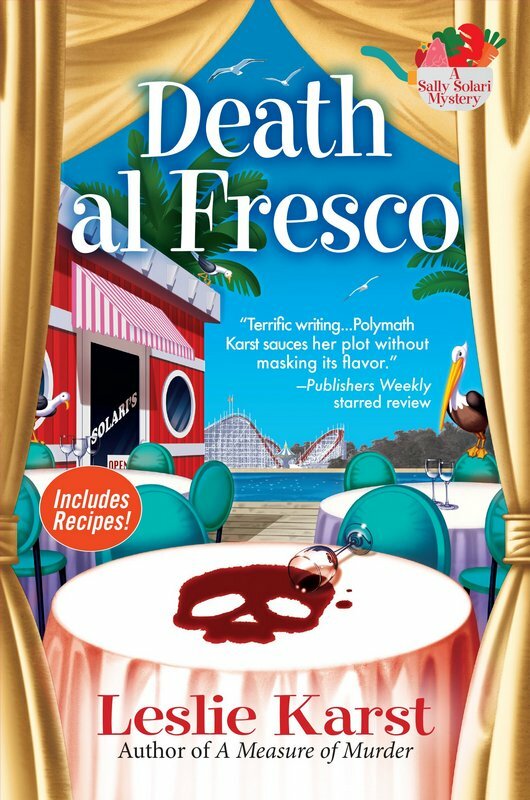 Like many characters in mysteries, Rhe has lots of time to investigate murder, even though she has another job. But that's okay. It's not a medical mystery novel, and we don't need to know how many times she took someone's blood pressure during the day. Her medical knowledge does come in handy though. 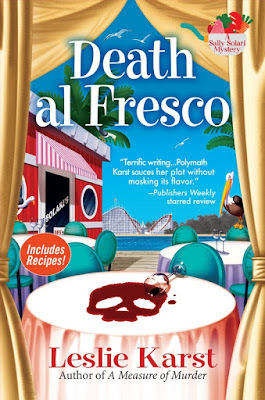 As mysteries go, this was complicated enough to be interesting, the characters were likable, and the end was satisfying. What's not to like? Again, a book landed on my doorstep, asking to come in. Hello, book, who are you? 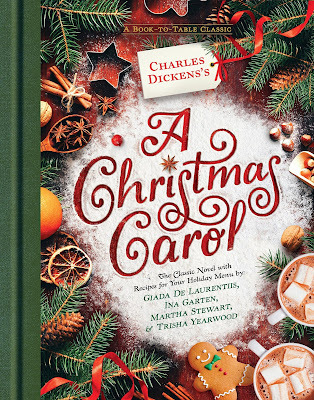 Ah, it's A Christmas Carol by Charles Dickens . Huh? Wha? Why? You've probably read A Christmas Carol at some point in your life. Or you saw the movie or maybe even a play. But this version is different. 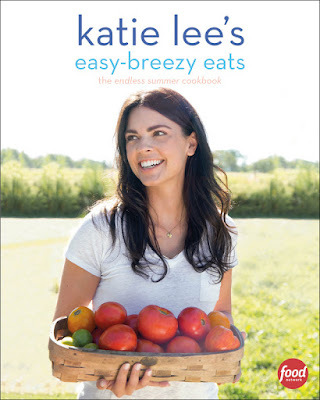 It includes recipes by Giada de Laurentiis, Ina Garten, Martha Stewart, and Trisha Yearwood. There's no roast goose, but there is a roasted turkey breast and a baked ham, so you'll be all set for the holidays. 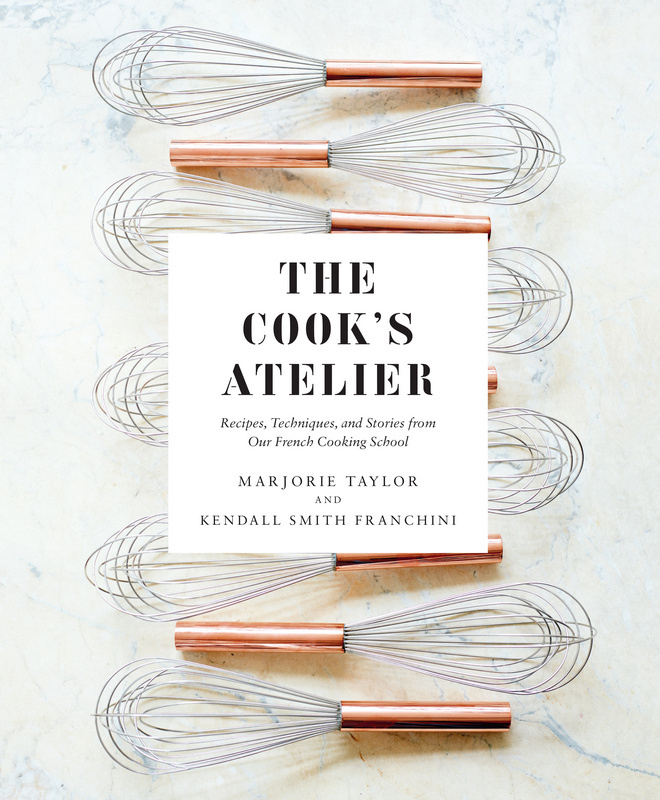 While this is far from being a full-blown cookbook, there are appetizers, side dishes, and desserts, too. I'm quite tempted by the Cran-Apple Crisp for dessert, if I'm being honest. Besides including recipes, the illustrations are also food-related, which is kind of cute. Makes the whole thing more fun. 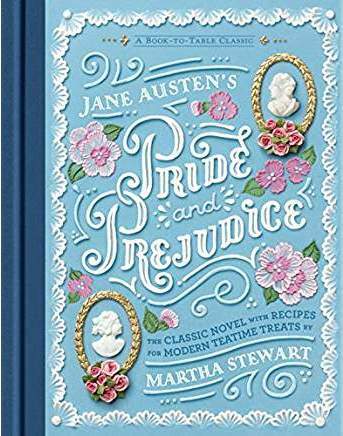 I have to say this would make a lovely gift for someone who likes to read and likes to cook. Add a few extras, like a set of biscuit cutters , a zester , and a pretty pie plate , and it would be really adorable. As I'm browsing through the book, I'm wondering when I actually read it last. I mean, I've watched it recently. I think it's time I read it again. Right after I fix a nice mug of hot chocolate. Like many books here, I got this from the publisher at no cost to me. Poor rice cookers. They used to be so trendy, but now there are all those multi-cooker, slow-cooker, pressure-cooker gadgets that claim to be able to cook absolutely everything. Including, possibly, rice. This cookbook takes the opposite tack. It attempts to give you multiple reasons to keep your rice cooker on your counter. It's not just for rice, the cookbook says. You can make soup in it, too. 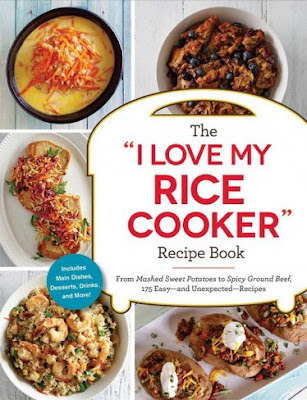 The interesting thing about The I Love My Rice Cooker Recipe Book (no author listed) is that it's designed for use with very basic rice cookers - the ones with on/off/warm settings and nothing else. Surprise, surprise, that's not the sort of rice cooker I have. Mine will cook Gaba rice and has multiple settings for white rice, but it's not the sort of cooker that this book is aimed at. But that's okay. I'm resourceful. All of the recipes in this book could easily be converted for slow cooker or stovetop recipes. I mean, seriously, you just need basic higher and lower heat. It's not that hard to convert them. And, if your kitchen is being remodeled and you have to rough it with your rice cooker, you can use this book to make everything from meatballs to crab cakes to pasta in your rice cooker. And yes, there are rice dishes, too. 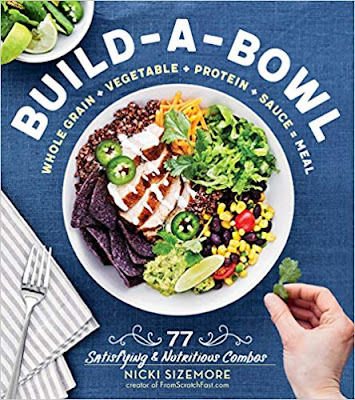 While this is probably not an essential book, it could be really handy for college students armed with rice cookers in their dorm rooms, or anyone who happens to have one of those old style rice cookers that needs more use. 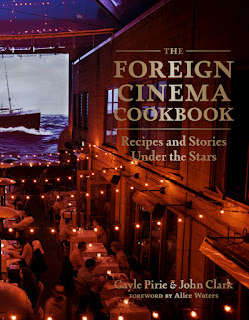 The Abrams Dinner Party continues with more fun cookbooks being sent to me to peruse, cook from, and tell you about. I get the books at no cost. If you've ever been to New Orleans (or you've watched enough episodes of NCIS New Orleans, you probably realize there's a unique food culture. And when there's a unique food culture, there are recipes. 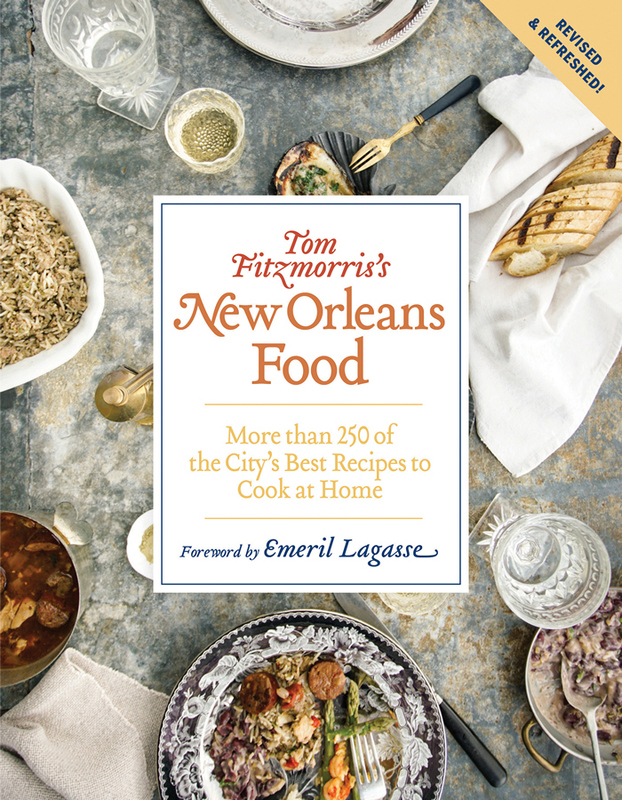 Tom Fitzmorris's New Orleans Food is all about that food culture. If you're craving alligator, you'll find a recipe here (although I'm not sure where you'd find the alligator). If you want beignets, those are a bit more accessible, since the ingredients aren't as exotic. If you want gumbo or creole creations, the recipes are here. While some of them include ingredients that might be hard to find (hello, alligator), it's pretty simple to substitute one fish for another, shrimp for crawfish ... and for that alligator, to me it has the texture of chicken with a slightly fishy flavor. Chicken might be a good substitute there. Of course, the majority of the recipes can be made using ingredients from your standard grocery store. Pork Tenderloin with Mushrooms and Brandy Cream Sauce would make a lovely dinner for company or a special occasion. Poached Fish with Cranberry Hollandaise sounds different and lovely. Dirty Rice and Lyonnaise Potatoes and Corn Macquchoux would be great side dishes pretty much every day. If you've been to New Orleans and want to recreate the food vibe, or if you just want to change up your everyday cooking, this book would be a great addition to your book collection. Note: This book is a revised edition. I'm not sure what was changed from the previous version. While MOST of the books I'm getting from Abrams are cookbooks, they sent along two other books as well - Godforsaken Grapes by Jason Wilson and The New Farm by Brent Preston. I haven't had a chance to dive into these yet, but on first glance, they look like the sorts of books that food lovers would be interested in. When I got the latest cookbook for the Abrams Dinner Party (where I get a bunch of free cookbooks from the publisher) I was curious about the concept. 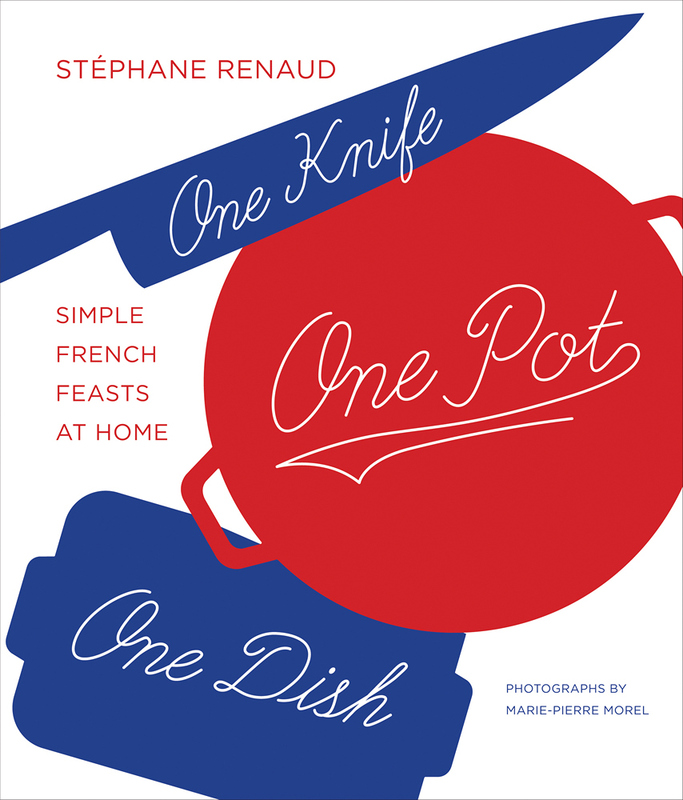 The book is called One Knife, One Pot, One Dish, and the subtitle is Simple French feasts at home. Well, hmmm. When I think of French food, simple is not the first thing that comes to mind. Wandering through the book, the titles didn't sound simple. Like Pork with Green Peppercorns and Shiitakes, Rabbit with Lemon Thyme and Almonds, Cauliflower with Lemon Mascarpone, or Salmon with Beets and Chocolate Mint. There were others that sounded simple, like Chili, One-Pot Carbonnade, and Hot Dogs with Cheese. But ... titles can be deceiving. All of the recipes are designed to be simple to prepare, no matter how "fancy" the ingredients are. First, you peel or slice or chop. Then it goes into a pot. Then you plate it. Boom! All done! I decided to try the concept with a dessert - Apples with Salted Butter. Mostly because I had plenty of leftovers for the next few dinners, and I didn't want to pile on yet another dinner-like food. This was a super-simple recipe that required a whopping three ingredients. Just apples, butter, and sugar. First, the apples are peeled, cored and thinly sliced on a mandoline. Then some butter and sugar go onto the bottom of the pot and the apple slices are layered into the pot with sprinkles of sugar and dots of butter between layers. Then it's baked for a while with the lid on the pot, and later the lid is removed so the sugar has a chance to caramelize. It all went well except that when I got to the store, I had forgotten which apples were recommended, so I played apple roulette (seriously, how many apple varieties are in season now?) And I grabbed a few of each. When I took the lid off the pot, the apples were swimming in juice. My goodness, I had juicy apples! It took much longer than recommended to get the apples to caramelize to a point that was even close to what was in the photo. Then, when I tried to unmold it, it kind of flopped out of the pan so it was useless for a photo. Oh, but the flavor! Warm or room temperature or chilled, this was a-freaking-mazing. The amount of sugar (just about one tablespoon per apple) was enough to add some sweetness, but overall they were more tart than sweet. The butter added richness. I get grabbing and nibbling more and more. So good. I'm going to be making this again, for sure. Possibly with different apples. As far as the book, the techniques are pretty easy. Some of the ingredients would be a little difficult for me to find. Like the rabbit. I can't recall the last time I saw that at the grocery store. But you know what tastes like rabbit? Yup, chicken. As far as other ingredients that might be less common (chocolate mint is available at the garden center; less so at the grocery store) they'd be pretty easy to substitute. Regular mint for chocolate mint. One mushroom for another. One fish for another. One cheese for another. The results might not be exactly the same, but they'd be darned close. And pretty easy, too. I got One Knife, One Pot, One Dish by Stephanie Reynaud from the publisher at no cost to me.